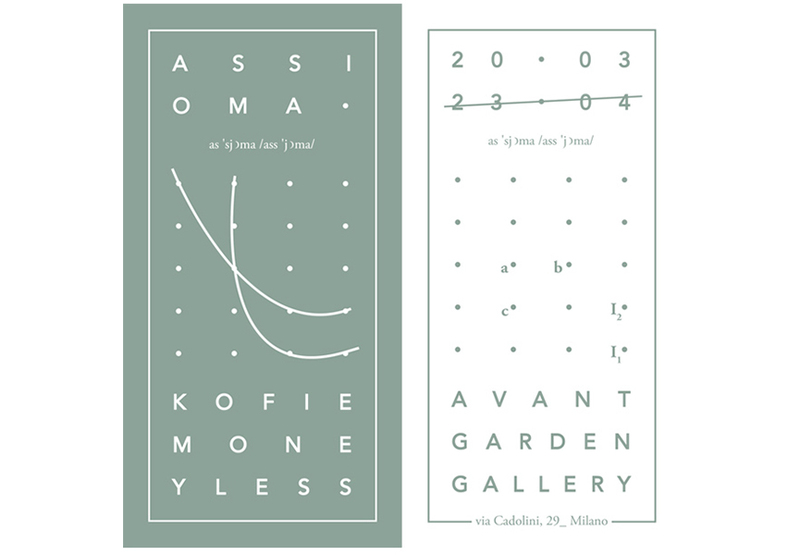 On March 20th, a two man exhibition with Augustine Kofie and Teo “Moneyless” Pirisi opened at Avantgarden Gallery in Milan. The exhibition is titled “Assioma” and offers an exclusive insight of new work from each artist and well as their first ever collaborative works. Avantagarden Gallery has in fact invited them for ten days of collaboration in which they were expected to conduct a sort of “controlled improvisation”. 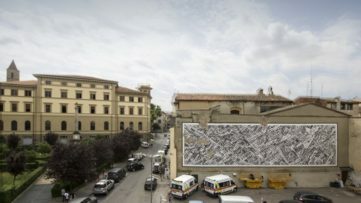 After working on these pieces for several weeks, creating large murals inside and outside of the gallery, as well as several of public works around the city, the American-Italian duo were ready to reveal their newest creations. This was a joint experimental project and now it is open to the public to evaluate. 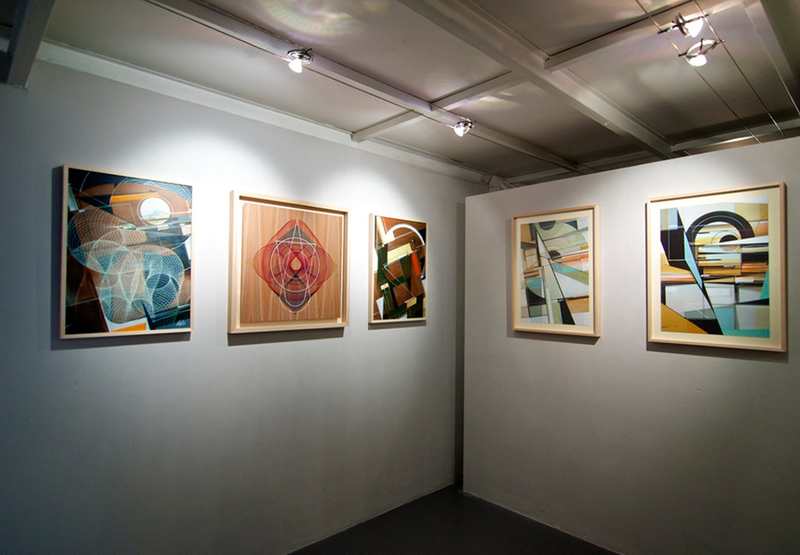 Enthusiasts and advocates of geometry and abstraction, Moneyless and Kofie have been exhibiting side by side many times so far. What’s more, their styles form a perfect match when juxtaposed against each other. While Kofie is more focused on straight lines, Pirisi is obsessed with circles. Sharp straight lines and fractions of geometrical shapes are balanced against repetitive perfect circles that form objects themselves. On other hand, Moneyless’ imagery is created with a classic brush, and as such is a great complement to the subtle use of drips, strokes, transparency, and other intentional imperfections in Kofies work. 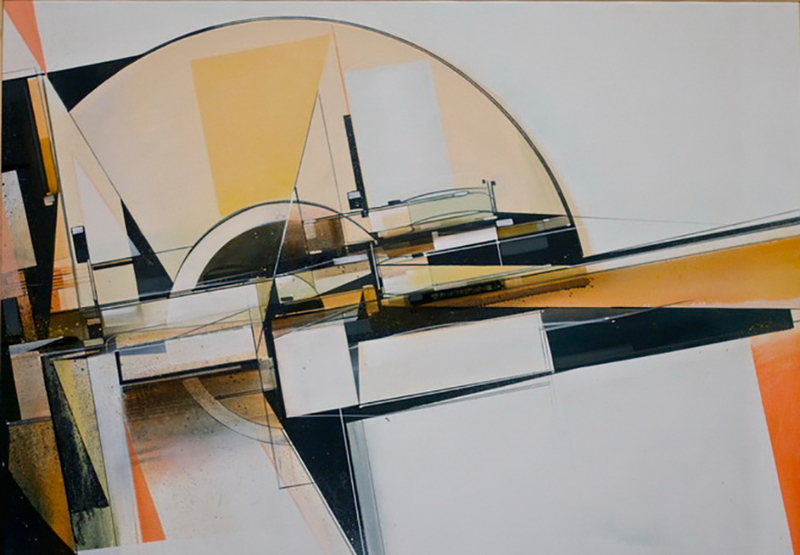 As the title of the exhibition suggests, their art is in the domain of postulate, which require no proof as it is also in the base of geometry. With all these similarities and differences in one place, the exhibition represents a complete symbiosis, a brilliant visual balance. 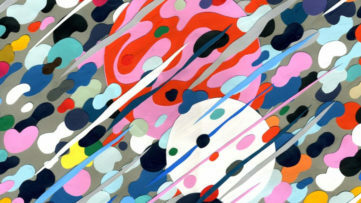 “Assioma” is the point of encounter of two very distinct paths that carry within them two very kindred spirits. The final impression is overwhelming. Kofie and Moneyless complement each other so well. As his pseudonym Moneyless signals, Teo Pirisi aims to make art with simple materials and without wasting resources, like it often happens in our consumer-driven society. Moneyless’ mission has always been linked to reestablish a certain kind of order in consuming materials. 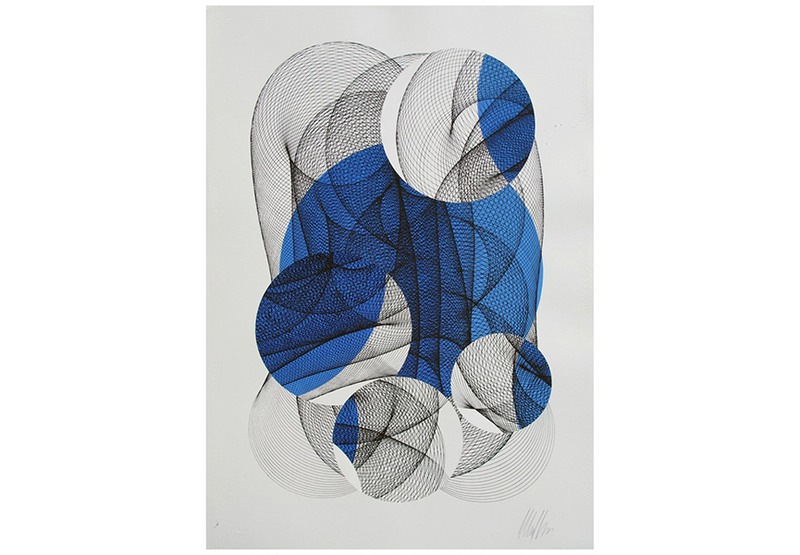 Famous for his works in public spaces, the artist explores lines and volume inspired by nature. Moneyless’ geometric shapes are minimalistic and essential and at the same time majestic and mystical in a way. Kofie’s style has been defined as Futuristic Vintage. 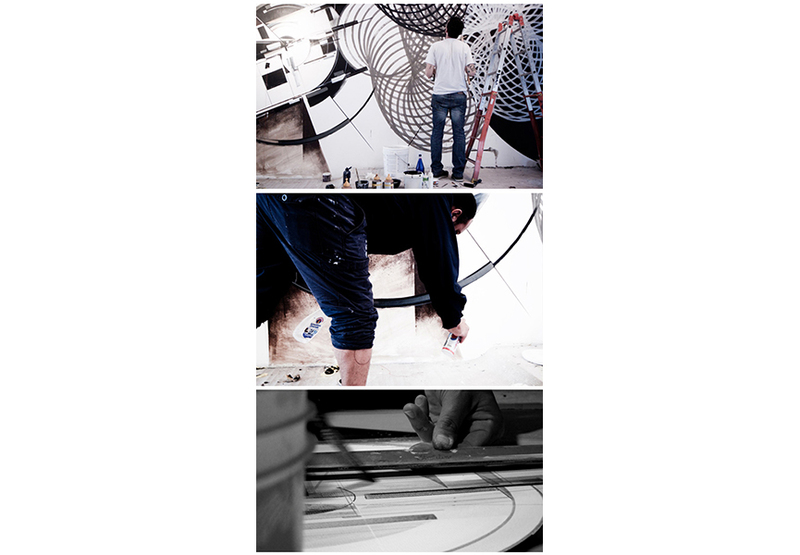 He finds inspiration in modern architecture and machines, Jazz music and his passion for lettering. 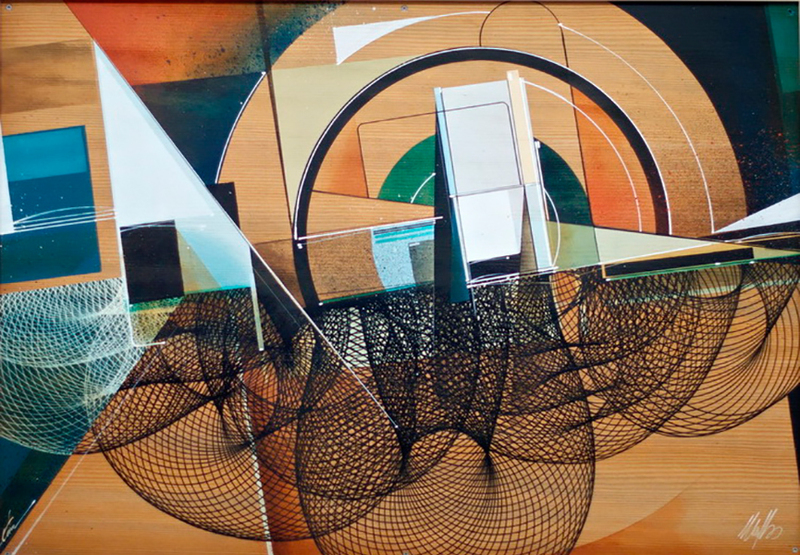 Kofie’s art is characterized by an instinctual reasoning, when the artist works according to a fluid thought but with an order that revelers his search for balance, his focus on form and composition. His works are distinguished by vintage earth-toned palettes. 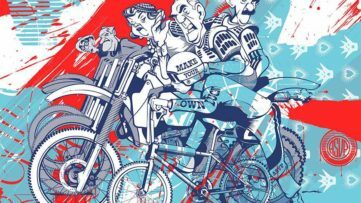 AVANTGARDEN GALLERY hosts solo and group shows of all those artists born and rooted in the context of urban art. 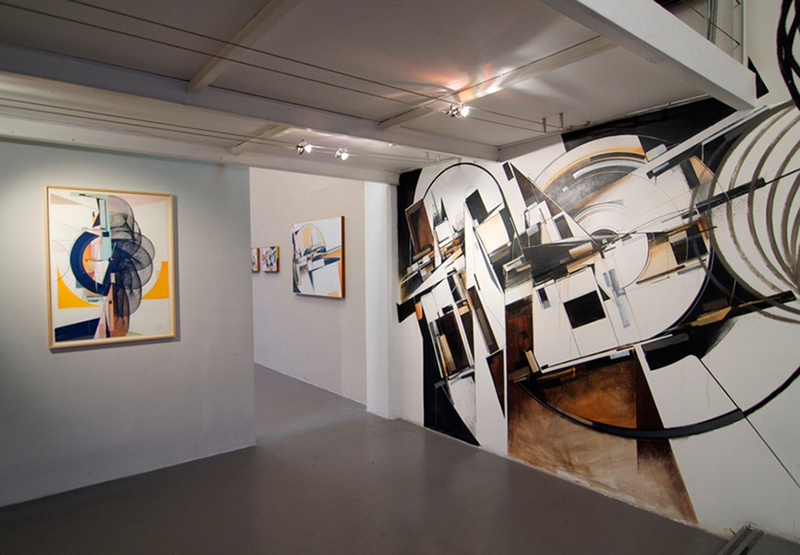 The gallery intends to provide new tools and critical reading of the urban art world in many facets related to it, blending the methods of analysis of traditional art with new instances and new codes promoted by the international underground culture. Particular attention is paid to the creation of site-specific exhibitions, collections of exclusive works that are born from the encounter between the artists, the gallery space, its staff and the environment in Milan.